April 3, 2018. Uncategorized. 2 comments. Donovan Livingston, a master’s graduate at the university, was chosen by a committee of faculty, staff and students to speak at the School of Education’s convocation, a rep for Harvard told ABC News. Livingston told ABC News that the “true inspiration behind the piece” was the fact that he couldn’t perform a poem when he gave his commencement remarks during his senior year of high school. The poem spoke about racial inequalities in the educational system, what it means to be black at Harvard and inspired the class of 2016 to use their roles as future educators to help others realize their full potential. Absorbing everything, without allowing my light to escape. But those days are done. I belong among the stars. And so do you. And so do they. So no, sky is not the limit. It is only the beginning. The speech has been seen by more than 5 million people and was even shared by Justin Timberlake and Hillary Clinton. Livingston — who hopes to become a faculty member or an administrator at a university one day — said he did not expect to get a standing ovation, nor did he expect the speech to go viral. Livingston now plans to support his wife Lauren as she enters her second year of medical school at Wake Forest University and start his PhD program at the University of North Carolina at Greensboro this fall. It makes sense for the son of two educators: His father is a retired principal and his mother is a speech pathologist, working with special needs students. May 27, 2016. Uncategorized. Leave a comment. Ms. Kersten makes some compelling points. All students should be held to high expectations, both academically and behaviorally. And yes, students should also be held accountable for their behavior. However, the problem of school discipline and creating a safe environment for students to learn is much more complex than Ms. Kersten communicates. While holding students accountable for their behavior is a significant component of the discipline problems in the district, it is only part of the solution. There are several other factors that contribute to a safe environment that is conducive to learning. Universities need to adequately prepare teachers for instructing and managing behavior in today’s classrooms. School administrators need to support teachers in maintaining optimal teaching environments in their classrooms. Teachers need more support and expertise in how to manage challenging classrooms and how to respond to behavior. Teachers and administration need to grow in their abilities to build relationships with parents who have become disconnected with school systems. Teachers have to face the biases they possess. Schools have to look at biases inherent in their institutions. All teachers should receive professional development EACH year in classroom management and how to appropriately respond to student behavior. School administrators need to collaborate effectively with parents and teachers to create clear and enforceable policies that describe responses to disruptive classroom behaviors. All school personnel should continue their professional development training and receive feedback in the area of cultural competency and its impact on classroom interactions and instruction. It’s not enough to simply blame parents for their child’s behavior or teachers for their inability to manage classrooms effectively. Preserving effective learning environments in today’s classrooms involves administrators, teachers, parents and students working together. Through these kinds of collaborative efforts instead of simplistic blaming, we are confident that schools can create safe environments that allow the learning all students deserve. March 23, 2016. Uncategorized. Leave a comment. Adrian Peterson. Here in Minnesota we’ve been talking a lot about Adrian Peterson. We’ve been talking a lot about the off-field behaviors of football players and other professional athletes…we’ve been talking a lot about parenting…a lot about discipline and a lot about corporal punishment and spanking. The Minneapolis Star/Tribune recently came out with an editorial saying that corporal punishment is an outdated form of discipline and that “hitting kids should be relegated to the scrapheap of history.” Research shows that using corporal punishment to teach kids about how to behave does not work. The idea that pairing a form of extreme discomfort with an undesirable behavior, with the hopes that the child will avoid the misbehavior to avoid the extreme discomfort, does not seem to be effective. The reason for this is that the child generally remembers the discomfort, the spanking, and not the misbehavior that led to it. If the goal is to have a child THINK about what they did wrong, spanking instead causes them to think about their pain, the deliverer of the pain, and quite possibly, how to avoid getting caught in the future. It is important, however, to hold children responsible for their behaviors. Consequences need to be delivered and done so in a way that makes it most likely the child will THINK about their behavior and understand why it was wrong. Those kinds of consequences are best used when they are related to the infraction, reasonable in their degree and delivered in a respectful or neutral manner. It can be difficult to keep calm when our children are misbehaving. It can be difficult to keep calm during any form of conflict, that is, unless we are trained to do so. People who are trained to engage in conflicts can document the effectiveness of such training. Those people who are also trained to be aggressive and possibly controlling during certain conflicts are especially vulnerable to struggling with keeping calm with their children. Police officers receive training in using their authority forcefully and effectively while on the job but must then learn to manage conflicts off the street in a different way. Effective law enforcement agencies provide this type of training to their officers. Football players are also trained to maximize their aggression forcefully and effectively on the playing field. They practice all season to use force to reach their goals. Many are able to turn off the aggression once the game has ended. Some are not. Some are able to keep calm during conflicts off the field. Some are not. Perhaps something good will come from the recent news about Adrian Peterson and Ray Rice. Perhaps the NFL and other sports that rely on development of controlled aggression will take responsibility for provide training for all of their players on how to turn off the aggression instead of just how to turn it on. Many of you may have heard about some sad events that have come into the news involving some well-known football players. It’s hard to know all the facts about any news items because all of the parts of any story come out a little at a time. Still, it seems clear that one player, Ray Rice, struck a woman (who later became his wife). Another player, Adrian Peterson, spanked his child with a switch (a small branch) and caused some injuries to him. People should never hit other people. Some people don’t think spanking their child is the same as hitting and parents do get to decide if they think spanking is necessary to teach their children about how to behave. However, any kind of spanking that is so hard that it leaves marks or cuts or bruises and causes injury to a child is not okay. Parents are never supposed to injure their children. People should never hit other people. Parents should never hit each other. Some people may not know how to solve problems without hitting. There are ways they can be taught to work things out more peacefully. If people in your family are hitting each other or causing injury to you or to each other, it’s important that you tell any adult that you trust. You could tell another relative, your teacher, someone else at school such as another teacher, administrator, or teaching assistant. If you tell someone, they will help to figure out a way to make things more peaceful in your home and will help you and your parents. This is also true about anyone else that is causing you harm or making you do things that you don’t want to do or think you should do, such as other relatives, babysitters, other kids, brother or sisters of other kids, and people like that. If you ever want to tell an adult about anything like this, all you need to do is to tell them that you’d like to talk to them about something in private. They will find a time and a place to talk about this so no one else will hear or know about it. September 23, 2014. Uncategorized. Leave a comment. ChildSense is proud to announce that two of their videos are now available for streaming rental. are now available for streaming rental at http://www.childsense.net for $2.95. May 28, 2014. Uncategorized. Leave a comment. ChildSense is now on Twitter! March 10, 2014. Uncategorized. Leave a comment. 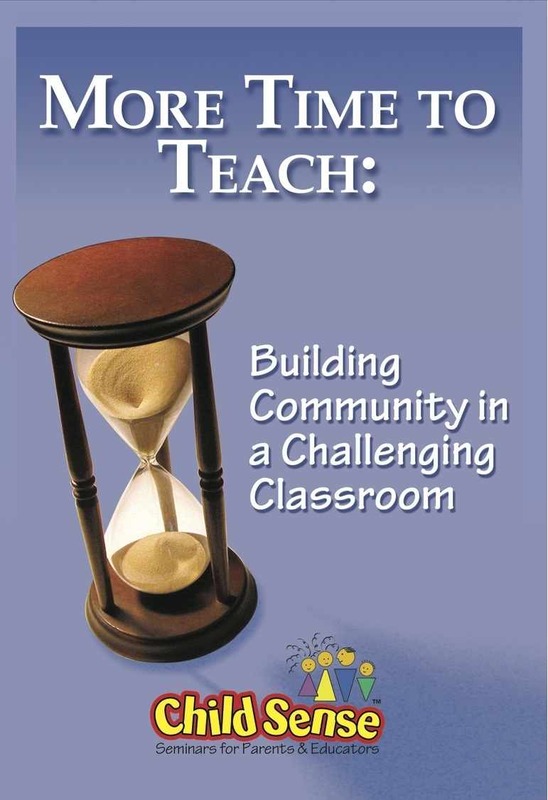 Jeff and Jon are excited to announce that they have completed their sixth dvd in the More Time to Teach series entitled: More Time to Teach: Building Community in a Challenging Community. Jeff and Jon recently attended and presented at the National Conference on School Discipline and Girl Bullying in Las Vegas, Nevada. Their presentation was entitled WORKING WITH CHALLENGING PARENTS. They had the pleasure of reconnecting with the keynote speakers, Drs. 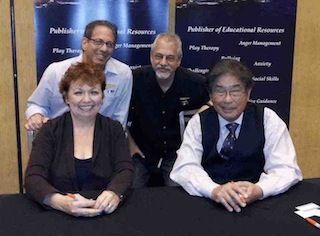 Harry and Rosemary Wong, who have endorsed their MORE TIME TO TEACH materials. August 8, 2013. Uncategorized. Leave a comment. As many of us prepare to end our final weekend before Winter Break and resume our work this week with our precious students, we are all likely thinking about the tragic events that unfolded in Connecticut on Friday. While we have had the weekend to process our own feelings about this event, parents have been managing their own feelings while attempting to oversee their children’s exposure and management of reactions. Many have said they are trying to shield their children from the details or from the event in its entirety and are hoping we can support that when the students return to school on Monday. This seems like a reasonable and prudent request that we should attempt to honor. Let’s avoid bringing up the elementary school shooting this week. Many of you are likely thinking that some students may bring this up themselves in class, whether or not they heard about it at home over the weekend. We need to be prepared to respond to this. It can be tricky to find the words to validate what they bring up without generating fear or excessive curiosity about the event. It will also be important to emphasize that this horrible event was exceptionally rare and that they are safe at our school. If students bring this up, offer responses that acknowledge what happened, summarizes it for those who want to know and defer details to their parents. As caring adults in this community, many of us have been affected by this, as well. We need to make sure we take care of ourselves while trying to integrate this unimaginable event into our consciousness. Manage your own feelings about this tragic event in healthy ways. Talk to other adults about your feelings. Avoid using alcohol or other drugs to suppress uncomfortable feelings about this. We will be setting up some times for the adults to gather to talk about this at school over the next few days. This last week before Winter Break is always a unique one. That will make it more difficult to tell if students’ behavior is due to excitement or lingering fears. Continue to adhere to the same rules and boundaries as usual. Refer struggling students to office administrators or to the school counselor. Finally, reassure worried parents that their children are safe at our school. Refer parents to the office administrators if they wish to discuss safety policies. Refer them to the counselor if they are struggling with supporting their children or managing their own feelings. We’re grateful to work together in a place that offers such support for our students, their parents and each other. Enjoy your students this week. Hug them. Smile at them. Remember that they look to you for confirmation that their world is safe. By doing that, we also help ourselves. That’s the best medicine for dealing with the aftermath of this horrible occurrence. December 18, 2012. Uncategorized. Leave a comment.